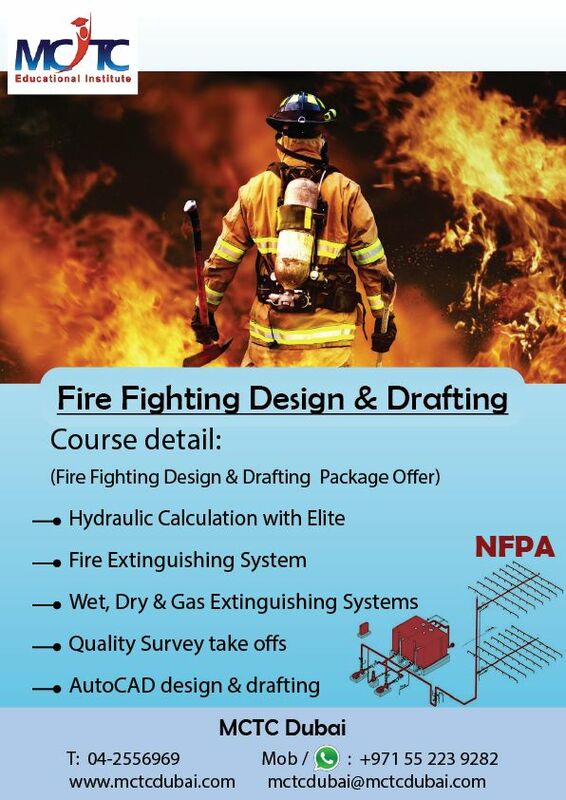 MCTC Offers you an opportunity to study Fire fighting design & drafting as related to Building design systems in Dubai. Firefighting design deals with the fundamentals required in protection against Fire hazards, water supply for fire protection, Fire alarm systems, Fire extinguishers, Principles for storage of flammable and hazardous materials. Must design Sprinkler systems and test their sensitivity levels.